Lowepro's number one selling collection, the ProTactic, has been redesigned for better gear access and protection. 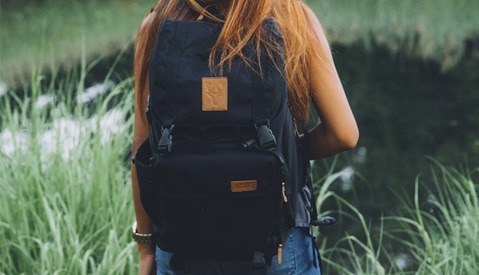 For years I used the first generation ProTactic and it was probably the first camera backpack I owned that was not only comfortable to wear for long periods of time, but exceedingly functional too. 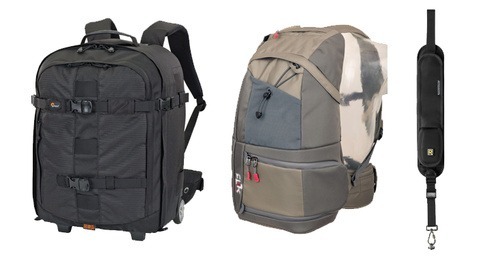 Now, Lowepro has made updates to the ProTactic bags and they look even better. There are two sizes for the new backpacks. The ProTactic BP450 AW II is the larger one and can fit 15-inch laptops, whereas the slightly smaller BP350 AW II will fit up to a 13-inch laptop. Camera gear wise, the main difference is that the 350 II holds a pro camera with 24-70mm attached and the 450 II can do a pro camera with 70-200mm attached. Both will host eight additional lenses or flashes and an extra pro body. If that's not enough space, the ProTactic series has a range of SlipLock modular accessories to a attach to the outside of the backpack. As an all-weather "AW" backpack, a built-in rain cover comes standard. There are four access points in the new version; the top, sides, and rear. People have specific preferences for these things and I think this adaptive design will cater to all of them. 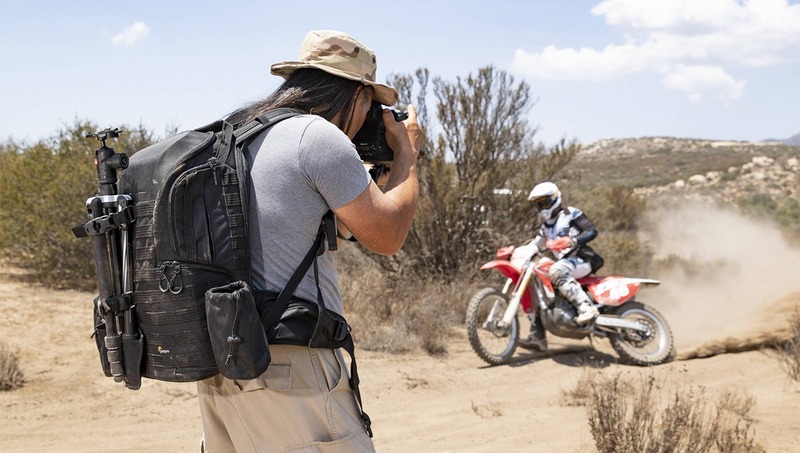 The top access is good for people who primarily use one camera and lens, the side access is for people who can't set down the bag to be grabbing gear, and the rear access is for people who like to see all their gear to decide how to approach their shooting environment. The Lowepro ProTactic BP450 AW II is priced at $269.95 and the ProTactic BP350 AW II is $219.95. Both are available to order now. I have the Protactic 450 AW, and I love it. It's such a good bag. I like that they made the top of the second version more rectangular rather than round. Seems like it will be easier to open it, and the opening might be bigger too (quickly putting my camera with a 70-200 lens in the top requires a bit of wiggling around). I'll stick with my current bag, but it's nice to see a second version if I ever have to replace it. It unfortunately still has horribly designed fasteners/connectors that are used to attach a tripod or other equipment to the backpack, and I managed to lose all but 1 of them on a single European trip. Does anyone know how I can acquire replacements? I've e-mailed customer service at LowePro and... nothing. Just search on Amazon “molle attachments or straps” those loops are pretty standard. Ah that's pretty cool, thanks. I E-Mailed LowePro Support Europe, which was handled by a 3rd party actually, and they sent me all attachments included in the original bag free of charge. Y'all are some helpful sonsaguns. Thanks! Edit: On a more serious note, i don't particularly like the re-design of the top and the outside pockets. It looks worse and it also looks like it will be harder to attach a tripod to the side. 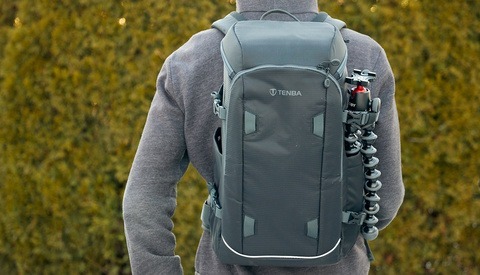 The design of the pack was a big plus for more, now it looks as bulky as any other camera pack. But as said before it might be easier to open. I do like the look of the new Hip Belt, it looks like it could actually be used as such. It's a bit wider and longer. On my 350AW it's not that useful. But it also looks as if they made the Hip Pockets smaller, which i don't like. The padding looks new designed, but not thicker or more comfortable, which i felt was the Achilles heel of the pack. And one word to the laptop compartment. It doesn't actually hold a "laptop", it hold as MacBook or some sort of ultrabook. A traditional Laptop like the Lenovo ThinkPad i use to work does not fit due to the battery. The compartment is just so slim. Yeah, I never used the "laptop" compartment for a laptop. My Tornado F5 would never fit in in, neither would my Thinkpad W530. But it makes for a decent place to keep filters and some papers. What's so uncomfortable with the padding? I went on multi-day mountain hikes with mine (yes, I went very minimalist and I was cold and hungry, but I didn't die), and the padding wasn't an issue. The one thing that I could feel more, tho, was due to the depth of the bag, a lot of the weight ended up further away from my back, which made me lean slightly more forward. Kinda glad I bought the prior version recently- it was over $100 cheaper than the new release! I have the F-Stop Gear Tilopa https://fstopgear.com/products/packs/tilopa...and love it. I have yet to see a photo backpack where the waist belt is more than ornamental. F-Stop Gear bags have a usable waist belt. Every Lowepro bag I have used had awful belts. I have an f-stop bag, but it is an old one. Have they added a frame recently? Without a frame, there's no means to channel weight to the hips. Are the minor updates worth the $100 jump in price? I am wondering IF the author has used it in real life. It is a good marketing article. It is the worst bag I ever had. The bag is not designed with travelling in mind. Zippers on the back of the bag can only be opened safely when the bag is placed horizontally on some surface. Any attempt to open the zipper when the bag is held in hands has a risk of having all contents fall out of the bag, as two parts of the bag just fall apart. The zippers are too rigid, making it very uncomfortable to open the bag. The zippers broke 3 month after I had the bag. Contacted the manufacturer, no reply. The rain cover is placed in the lower pocket. This does not allow the bag to stand straight, it keeps falling down risking your equipment to be broken. Small side pockets are too small, and practically useless. Yes, it is possible to access a camera or lens from a side pocket, but in order to do it, you have to pull the bag from behind the back to the front. It is a big bag, and doing it was not comfortable, can damage your muscles, and too time consuming. I stopped using the bag after two weeks as the way it is designed does not make it the most practical or comfortable bag to use or travel with. I only used it as a storage to take my things from one location to another. But...if the bag can only be used as a storage, it should not cost so much. The only thing I liked is durability, but if the bag is designed in such a way that risks your equipment to be broken, I would not consider using it again. I have the 450 AW and I've taken it on several overseas trips for shooting. It's big enough that you're tempted to put lots of gear in it, but the straps aren't designed well enough to take all that weight. For its capacity, the straps should be thicker and padded better. The inside of the pack is OK and it's good for shorter trips, but I think I'd rather have the 350 instead. Currently, the old model is selling for $90 less.